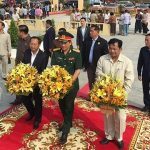 A monument honouring the friendship between Vietnam and Cambodia was inaugurated in the Cambodian province of Kratie on February 23. 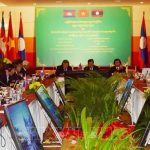 Cambodia Conference on Cooperation and Development of Border Provinces was held in Ho Chi Minh City on January 10, under the co-chair of Vietnamese Deputy Prime Minister and Foreign Minister Pham Binh Minh and Cambodian Deputy Prime Minister and Interior Minister Sar Kheng. 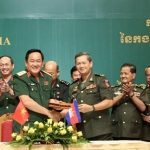 Vietnam’s Border Guard High Command and the Royal Cambodian Army have affirmed their resolve to participate in and facilitate border demarcation and marker planting between the two countries. 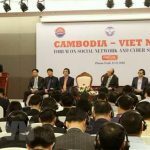 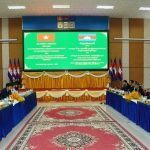 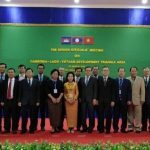 A conference on social networks and information safety took place in Phnom Penh, Cambodia, as part of the information and communications collaboration framework between Vietnam and Cambodia. 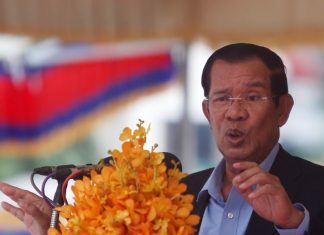 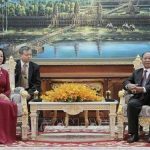 Cambodian Prime Minister Samdech Techo Hun Sen concluded his official visit to Vietnam from December 6 to 8 at the invitation of his Vietnamese counterpart Nguyen Xuan Phuc. 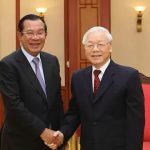 Vietnam and Cambodia could make their two-way trade value at US$7-8 billion by 2020 as they have established sound cooperation across sectors and their governments have regularly taken measures to remove difficulties for businesses, Prime Minister Nguyen Xuan Phuc said. 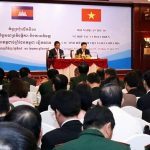 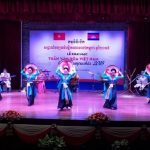 The Vietnam-Cambodia Friendship Association held a ceremony in Hanoi on November 9 to mark the 65th Independence Day of Cambodia (November 9, 1953 - 2018). 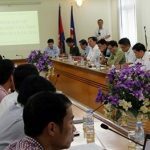 A high-ranking delegation from the Vietnam People’s Army (VPA) led by Sen. Lieut. 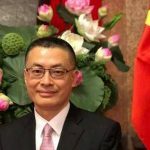 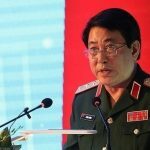 Gen Luong Cuong, Secretary of the Communist Party of Vietnam Central Committee and Director of the VPA’s General Department of Politics, is paying official visits to Laos and Cambodia from September 18-22. 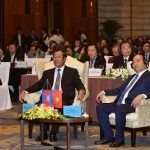 A forum to bolster Vietnam-Cambodia trade and investment ties opened in the Cambodian capital of Phnom Penh, on September 14. 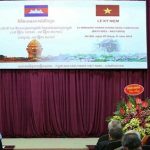 Vietnamese Ambassador to Cambodia Vu Quang Minh has highlighted the significance of Vietnam’s National Day (September 2) and relations between the two countries in an interview granted to the Cambodia News Channel (CNC). 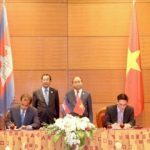 The Government has ratified the agreement on double taxation avoidance and income tax evasion prevention between Vietnam and Cambodia. 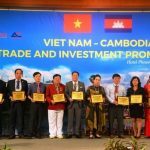 Vietnamese businesspeople in Cambodia serve as an important bridge to foster the traditional friendship between the two countries, making contributions to the development of the host nation. 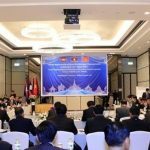 Vietnamese Deputy Minister of Industry and Trade Do Thang Hai and Cambodian Minister of Commerce Pan Sorasak have discussed ways to speed up the construction of Da market – the first model border one between the two countries – scheduled to be completed at the end of 2018.